SEO & Digital Marketing Consultant in Singapore wishes everyone Happy New Year! SEO & Digital Marketing Consultant in Singapore Wishes Everyone A Happy New Year! May 2017 bring Love, Joy, Peace, Good Health, Wealth and Success to you and your loved ones! And may all your wishes come true in the best possible ways for each and everyone of you. SEO & Digital Marketing Consultant in Singapore Wishes Everyone A Merry Christmas & A Happy New Year! May 2017 bring Love, Joy, Peace, Good Health, Wealth and Success to you and your loved ones! Did this Christmas Video Greeting Card in an hour. Please watch and enjoy! The year is coming to a close. And it’s Christmas already. I hope the year has been a good one for you so far? And I hope 2017 will be an every better year for you. Once, at a meeting with a business partner, one of the executives raised a question – Is SEO dying? His question was born from few articles he read that claim SEO is on its deathbed. My answer to him was that this is not true, and chances are SEO will be around for a long time. The reason? People are constantly scouring the World Wide Web for information and things that are relevant and pertinent to them. And it is in the interest of search engines to provide these search results to them. I had a look at those articles the executive read, and had a good laugh. They were written as articles of sensationalism. The authors were trying to get viewers and used this tactic to capture an audience. And the funniest part? They were using SEO to do that! In the past years while working in agencies, I have met many business owners who have heard of SEO (Search Engine Optimization) but seem to have vague ideas on why SEO should be part of their digital marketing strategies. Some even have a wrong or limited idea of what it is all about. Search Engine Optimization is more than just being on top of search engine results. Many businesses fail to realize this, and hence, do not invest in it. But before we go to the benefits most companies with great SEO strategy enjoy, you should be aware of what SEO is. This can be an entire topic and article. As such, I will just give a broad concept of what is SEO? SEO or Search Engine Optimization is the process of analyzing how search engines work, what people search for, the most common keywords used and how each search affects the visibility of a website. SEO allows a business to have strategies on how to carefully influence the ranking of their websites in search engines results pages. The goal is to rank on the first page of search engine results pages like Google. This is because findings by Chitika have shown that 91.5% of people searching online chose sites that are listed on Page 1. This means a higher chance of searchers clicking on your website (if it is on Page 1), and higher chances of acquiring sales leads that you can convert to customers. But as I mentioned, this is not all. There are more reasons to why businesses should invest in SEO, and here I present 7 of them. SEO gets your website on the First Page of Google and other search engines. This means your website gets high online visibility. As mentioned above, chances of people clicking on your website then becomes higher. And this drives more traffic to your website. As more traffic goes to your website, trust in your brand builds. Brand Trust can be a very powerful thing. In the World Wide Web there are millions of businesses competing, creating stiff competition for many businesses. As more searchers visit your website, it shows that people trust your brand. A definite major plus for your brand. Building your reputation will result in satisfied clients, who can act as your brand ambassadors. They will share about your brand and products or services to their network who are your potential customers. The word-of-mouth is a powerful tool for most sites. For example, someone once told me he heard about Lazada, an online marketplace, from a friend. He did not visit the site or make any purchase immediately. But when the time came for him to buy something he needed, he visited the site, and bought some furniture. Imagine that! Furniture! Not something you would buy online usually. All this happened because he trusted his friend who mentioned a site that the friend trusted. Adding to the above, in this day and age where anyone can write glowing reviews or criticisms on any online platforms, make sure you have an effective Reputation Monitoring Strategy that can help you improve your approach for SEO. Building your reputation in the industry does not just mean being recognized by clients and other companies. It also means you are respected and you have set a standard in your SEO efforts which other companies need to exceed. Working your way up to the rankings of search engines through organic search will ensure more traffic that can bring new and repeat sales for your business without costing too much. At least not as much as other digital marketing strategies. Already, many digital marketing experts predicted that in 2016 as the competition in the digital world increased, so would the Cost of Online Advertising. And this has happened already. If your business already has a limited budget for digital marketing, particularly Online Paid Advertising, be ready to either struggle or buck up and increase the budget. Especially if you desire better ROI (Return on Investment). Alternatively, consider the lower-costing SEO. Successful SEO strategy includes On Page SEO and Off Page SEO. While the latter can cost a bit more, of course depending on the amount of Off Page SEO you require, the former can be done at a much lower cost. You need not have high end SEO applications; there are SEO applications that are free or has trial versions that you can choose from. These applications are relatively cheaper than other applications or subscriptions that you may have for your other digital marketing strategies. Search engine results pages show significant and relevant content to keywords that consumers search for. The more relevant the keywords, the more chances that your content and site will be featured and ranked in the first pages of search engines. This will make the possibility of consumers checking out your site higher and drive more and better traffic in your site. But wait! What do I mean by Better Traffic? It is better traffic because the people who click and visit your website would be those who are already searching for the product or service you are offering. Not some random stumble upon your website. This means that the person already has an interest in what you are selling. For example, if you are a hairdresser in Seoul, Korea. And you chose the keywords – Award Winning Hair Salon in Seoul Korea – and you managed to rank it on First Page of Google and other search engines. So when someone is searching for an award winning hairdresser, they may type the exact keywords. They find your website on the First Page, they click on it, and if they like what they see, they may make an appointment. Voila! You get sales from a very targeted audience! Better Traffic! For a website to survive the competition, generating the right type and amount of traffic is a must. Not only will it increase the ranking of the website, it will also ensure a high possibility of sales, new and repeat sales, and return on investment will be much faster. The number of click throughs will reflect on your ranking and you will be able to determine the type of traffic your site gets using analytics. As I mentioned earlier, being on the First Page of Google and other search engines is equal to having Online Visibility. Imagine opening a store and not advertising or marketing about it. Worse, what if the store is at an area with low human traffic? You would open your new store, and find that no one steps into your shop. It is the same in the World Wide Web. Online Visibility is having your website seen by millions in a web space that is filled with millions of websites. Being visible allows potential clients to notice your website, check on it and have easy access to your products or services when needed. It will give you a head start against your competitors when it comes to reaching your customers and potential customers because they can Recall Your Brand instead of others. This Online Visibility also increases Brand Awareness and Brand Recognition. There can be opportunities to merge, affiliate or even acquire investment from larger companies when your SEO strategies make your company visible. You never know who may be on the lookout for a business to invest in. There may be large companies who are in the same industry or have an interest in the industry you are in, who will definitely be able to find your site because of SEO efforts, and consider if your business is worth their investment. Something that you might consider. In order to measure how much a business have progressed and how effective the strategy is, ROI or Return On Investment is measured and scrutinized. ROI can help you determine which of your marketing efforts are working, which strategy looks promising and may lead to further sales, and which strategy is not working. The reason why I advocate SEO so much is because it is relatively low cost (compared to other strategies) and brings a significant result on ROI. SEO allows your company to have a direct impact on your customers’ will and need to purchase. With content that will convince them of your company’s authenticity and effectiveness in terms or answering their needs, direct purchase will definitely happen. With more purchases made, your return will visibly show how operational your SEO effort is. As long as you have the right keywords and continuously provide quality content on your site, your ranking and visibility to clients will not decline. SEO is a long term strategy that you can use in order to achieve more than just your current goals. SEO can be used in whatever season and trend that may appear over time. Maintaining a strategy for a long time can cost effort and money. But in the long run it can be one of your most cost effective strategies. Keeping SEO on check on the other hand is relatively easier than other strategies. You will definitely notice any decline or improvement of your ranking in Search Engine Results Pages (also known as SERP). The ranking can change dramatically overnight; for example when any of your content gets viral on the web, you may find your site’s ranking rise drastically. And that is a very good thing to happen. Yes, this is true. If you have been having your head in the sand, it is time to face the truth. You may not be doing SEO, but your competitors are doing it. And they are getting to the First Page of Google and other search engines, capturing more of the same target market as well as new market, and getting more and more sales every day. So if other businesses and your competitors are doing SEO, why aren’t you? Nowadays, you will barely see companies without SEO in their Digital Marketing Strategies. It is an indispensable strategy that companies closely monitor. And keep as a closely guarded secret. Most companies, if not all, want to stay on top of any field against their competitors, and SEO is no exemption to help them achieve that goal. 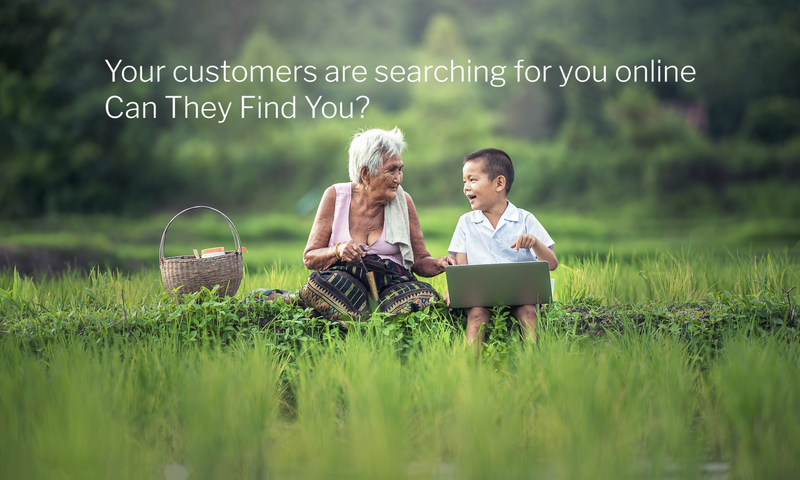 People are constantly searching for products or services like yours. And they do it through search engines, whether on the desktop or mobile devices. If you have a business and want to improve your ranking on search engines, then finding a digital marketing firm or an SEO Consultant Singapore and expert that offers a flexible rate and holistic approach for your SEO and digital marketing needs is a must. Investing on SEO provides a better solution together with other approaches that you already have. Many companies have experienced the power of SEO and recognized its importance as they personally witnessed the growth of the business through it. Isn’t it time your business invests in SEO? Do you like to see your website appear on the 1st Page of SERPs (search engine result pages)? Having your website on the 1st Page of SERPs for popular keywords or phrases that people frequently use to search for similar products or services like yours can increase the chances of visitors to your website or blog as well as be a long-term sustainable source of visitors. And to get to the 1st Page, you need to do SEO (search engine optimization). And not just the type of SEO on your website or blog, which is also known as On Page SEO. You need to do Off Page SEO, which includes having social media accounts, online mentions, and creating backlinks for your website or blog. Just to name a few of the Off Page SEO tactics. Backlinks are simply links that point back to your website or blog that is from another website on the world wide web. It is sometimes referred to as Inbound Links. Backlinks is one of the major factors toward gaining higher rankings on search engine result pages (SERPs). The more Backlinks your website or blog has, the more you are telling search bots that your website or blog is popular or important. This is because when another website features a link to your website or blog, it is essentially a vote for your website. It is like a “thumbs up” from another source, and tells their audience that they think your website or blog is worth visiting. Search engines, such as Google, will then give “plus points” to your website or blog, and when there is a search query relevant to your website or blog, it will appear in the list of search results. When you have a good number of quality Backlinks , there is a chance your website or blog will appear higher in ranking within that list. Of course, technically there is more to it than just this surface level information I just wrote above. There are other things about Backlinks to consider; for example quality of Backlinks , relevance, PageRank of sites that Backlink to your website or blog, etc. Also, please note that Backlinks are not the single determining factor for search ranking. There are many more factors to consider. But because this is a blog post about Backlinks, and specifically the purpose is to share a long list of directories for you to create the Backlinks, I will not go into all that here. Maybe in a later post? How To Get Backlinks For Your Website or Blog? Simple. But time consuming. I know because I too constantly add Backlinks to websites that I do SEO for. See the long list of more than 100 directories featured below that you can access to promote your website or blog for FREE? Go to each individual link, and try submitting the url and required details of your website or blog to the directory or listing. As mentioned above, I too frequently add Backlinks to the websites that I do SEO for, and I use this same list too. As such, I will constantly come back and review the list here. So do visit often to check out any new listing, or you can Email Me. I will add your email to my list, and send you updates. Comments welcome, too. * Kindly note – The directories and listings here are Free at point of time of posting. Should the site change its free listing policy, that is up to the site’s discretion. Timotheus is not responsible for the external site’s policy changes and charges. News & Media – FreeDirectorySubmit.com, a Social-aware, SEO-friendly web directory submission service. As I discover more FREE Backlinks, I will add them here. So do visit this page often to see updated links. I will indicate them by a note such as *Updated link with a date. Or if you have a FREE Backlink you would like to share, send me an email. How SEO Consultant Singapore Ranked Digital Marketing Agency on Google’s First Page? Back in 2014, I co-founded OOJO, a Digital Marketing Agency in Singapore. One of the first things I set in motion was to do SEO and rank the Digital Marketing Singapore agency’s website on the 1st Page of Google and other search engines such as Bing, Yahoo, etc. It took a lot of time and effort. And my team and I managed to achieve it within 3 months only! That is quite a feat considering our major keyword phrase is a highly competitive one, and most SEO experts will tell you that it would usually take 6 months to a year, sometimes more, to make that happen. We attributed our success due to our deep and strong knowledge of SEO, which is Search Engine Optimization. In the early days of Internet, when I started designing and developing websites, I kind of already did SEO. But back then, I had no idea I was doing it. I did it as part of a logical way to identify the websites. For example, the title tag was to identify the name of the website and the type of products or services the brand provides. SEO has come a long way since then. Today, there is On Page SEO where you did everything on your website to enable the search bots to find your website and know what your website is all about. And then there is Off Page SEO where it involves stuff like backlinks and social signals, all of which are to inform the search bots that the online community outside of your website thinks your website is important, too. And then there are the basic techniques, which may rank your website somewhere but most probably not on the 1st Page of Google and other search engines such as Bing, Yahoo, etc. Advanced techniques do really deep SEO, and these are the ones that can really help rank your website on the 1st Page of Google and other search engines. Naturally, my team and I did both. SEO starts with the all-important Keyword Research. This is research to find out what keywords that people are using to find businesses, products or services like yours. There are many tools that you can use to find keywords. My team and I use Google Keyword Planner. The results of the research showed a long list of keywords and phrases for businesses like OOJO, and the services provided by OOJO. Our team analyzed the long list, and selected our main keyword phrase – Digital Marketing Agency Singapore. We then proceeded to start On Page SEO. On OOJO’s homepage, we added the main keyword phrase – Digital Marketing Agency Singapore – into the Title Tags, Headers, Alt Tags, and Meta Descriptions. Of course, all written in a natural way. We did the same for the content. One thing to be careful is not to over-stuff the content with the main keyword phrase. Google does not like that, and will penalize a site for it. The same is done for the other web pages for the entire website. But not every page would be using the same main keyword phrase. Depending on what the page is about, we would choose another keyword or keyword phrase, and repeat this first step of On Page SEO for that particular page. Another On Page SEO tactic I used was to interlink the pages. This is very powerful as it indicates to the search bots that certain pages on a website are important. The importance can help with the ranking. You can choose to do this step after you started on some Off Page SEO. But I prefer to get the sites I work on to be indexed by search engines such as Google, Bing, Yahoo as soon as possible. An XML sitemap informs the search engines about the URLs on a website that are available for crawling and indexing. It allows webmasters to include additional information about each web page, when it was last updated, how often it changes, and how important it is in relation to the other web pages on that site. This makes the search engines crawl the site more intelligently. These days, it is very simple to submit an XML sitemap for indexing, especially with WordPress sites. OOJO is designed with a WordPress theme. So all I did was install a plugin that helped me create the XML sitemap. After that, I submitted the XML Sitemap link to all the search engines. Following that, we started on Off Page SEO. That includes Link Building (such as Web 2.0, Social bookmarking, directory submission, article submission, and more), getting listed on Local Business Directories, sending Social Media Signals via Social Media networks such as Facebook, Twitter, Instagram, Snapchat, YouTube, Google+, etc. I am a believer that the future of Content Marketing is using Videos. Hence, I am a firm believer that every digital marketing strategy must include Video Marketing, and that includes doing Video SEO. For OOJO, we applied this digital marketing tactic and ranked OOJO’s videos on 1st Pages of YouTube Search. Off Page SEO can be very extensive, and requires a lot of time and effort. It can and will include Crosslinking, Photo Sharing, Local Listing, Blogging and Blog Promotion. This is not an exhaustive list as there can and will be more Off Page SEO tactics. I share more about this in the courses I conduct. OOJO Ranked on 1st Page of Google with 3 Months! It took a lot of time and effort. My team and I worked daily, even on weekends, and extensively. And it all paid off! In slightly less than 3 months, OOJO’s website reached the 1st Page of Google and other search engines. It has been 2 years, and our ranking still remained on the 1st Page of Google. Below you can see the screen capture of search result done on 11 November 2016. Before reaching Page 1, OOJO depended mostly on offline promotional activities, word of mouth marketing and referrals to get leads and sales. Since reaching Page 1, OOJO has seen an increase in sales leads, many that have led to confirmed sales. Since then, I have helped many websites reach 1st Page of Google and other search engines such as Bing, Yahoo, etc. If you like to see the same happen on your website, please do contact me and let’s discuss.